Cairns Botanic Gardens and Tanks Arts Centre are units of the Cairns Regional Council. 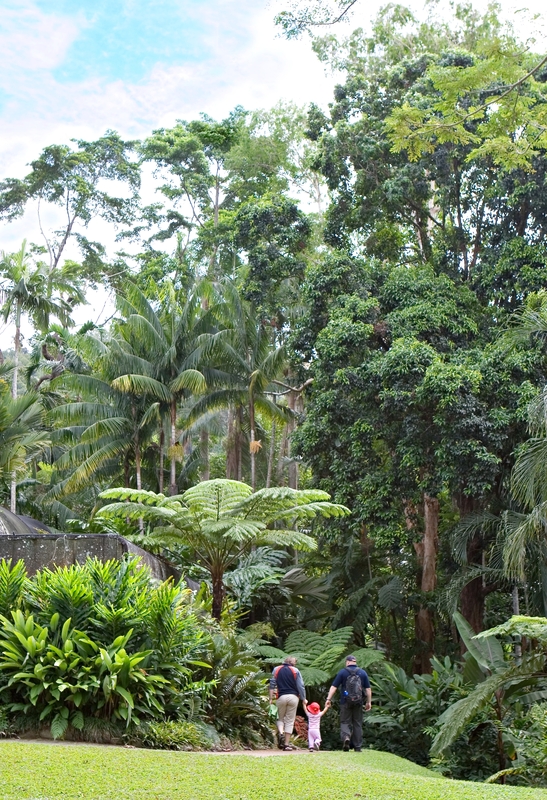 The Cairns Botanic Gardens are renowned for having one of the best collections of tropical plants in Australia, with approximately 4000 species including specimens from Northern Australian rainforests as well as notable species from Southeast Asia. The gardens date back to 1876 and have grown to become one of the most visited attractions in Far North Queensland, offering the formal design of heritage listed Flecker Garden, the magnificent Munro Martin Fern House, the sprawling Centenary Lakes with rainforest boardwalks, the hiking tracks through Mt Whitfield Conservation Park and the Mangrove Boardwalk. At the heart of the precinct is the award winning Cairns Botanic Gardens Visitor Centre, with interpretive displays, a shop and café, accommodated in amazing mirror-clad buildings. Also within the Cairns Botanic Gardens precinct is the unique Tanks Arts Centre, Cairns’ premier contemporary arts venue, incorporating a performing and visual arts program with community events, markets and a busy workshops program. Tanks takes its name from the past. The site is comprised of three concrete fuel tanks, completed in 1944 for the Royal Australian Navy, decommissioned in 1987 and remodelled into an arts centre by Cairns Regional Council, opening its doors in 1994. On the edge of the Garden’s precinct is a five bedroom timber house, built in the classic Queenslander architectural style. No. 5 Collins Avenue houses artists in residence, many of whom are co-hosted by the Tanks Arts Centre and Cairns Botanic Gardens. The unique combination of performance and exhibition spaces, together with botanic collections and a wealth of horticultural knowledge offered by the gardens staff, attract artists from all over Australia and the world.